In all, Pakistan and New Zealand cricket teams have played 7 matches against each other in 4 of the 9 ICC Cricket World Cup’s. Of the 7 matches, the Pakistan cricket team managed to win 6, whereas New Zealand cricket team won just one match that was in 1983. Throughout the ICC World Cup history, the Pakistani cricket team has been able to bat and bowl pretty well against the New Zealand cricket team. In 1983, Zaheer Abbas the top order batsman of the Pakistani cricket team managed to score a century and same goes for Ramiz Raja, the then vice captain of the Pakistan cricket team in the 1992 ICC cricket World Cup who scored a splendid 119 runs and was not out. Imran Khan was one of the most consistent all rounder throughout the ICC World Cup matches. 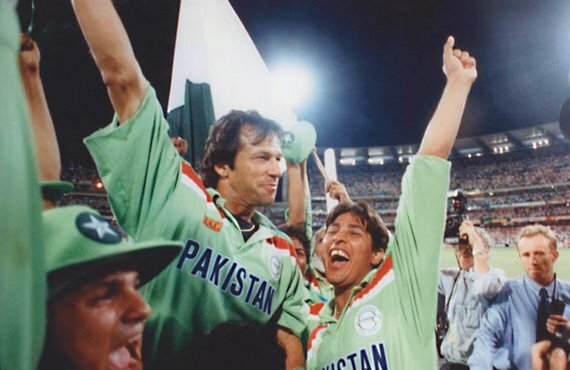 The famous ICC World Cup of 1992 would have been impossible to win if the Pakistan cricket team did not have Imran Khan (the then Pakistani cricket team captain) and his extra ordinary leading skills, especially in the group and the semi final matches against the New Zealand cricket team. The Pakistani cricket team bowlers (e.g., Imran khan, Wasim Akram, Mushtaq Ahmed, and Shoaib Akhter) have been successful in taking a couple of match winning wickets against the New Zealand cricket team. The Pakistani cricket team didn’t play any matches against the New Zealand cricket team in ICC cricket World Cups of 1975, 1979, 1988, 2003, and 2007. In 2011 cricket world cup match, New Zealand beat Pakistan. Ross Taylor performed very well wit the bat. This match was an interesting match as initially Pakistan looked all set to dominate the kiwis. Pakistani wicket keeper Kamran Akmal dropped a couple of important catches off Shoaib Akhtar, leading to a dominating century by Ross Taylor. In response, Pakistan batting line up was not able to chase down the score successfully. This was the only league match Pakistan lost in 2011 cricket world cup.